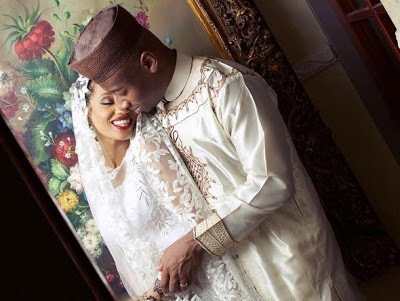 Forget about that of Omobaba, Mavin singer, Dija’s 2015 wedding is still one of the best kept secrets in the history of Nigerian entertainment. Well, details about the secret wedding and why it was kept secret has been uncovered by recent findings. It was reported Dija’s was already pregnant before the wedding, hence the reason for the hush, hush. The wedding took place in Kaduna back in 2015 Dija’s 4 different outfits on her wedding day was designed by Maureen Okogwu-Ikokwu, the beautiful niece of Nigeria’s former first lady, late Mrs. Maryam Babangida. And, the wedding was such a secret that even the official photographer traveled to Kaduna without knowing who the bride was. That’s all they know. Would you even ask for more?